Love this watch! It is very stylish and looks so expensive. Not too much bling, just enough to make me happy when I look at the watch. It can get wet too. Great purchase! 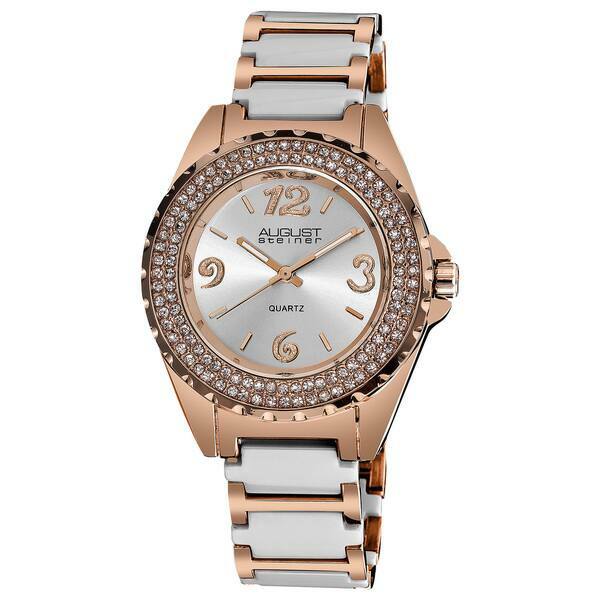 This August Steiner woman's watch features a bezel studded with crystals on an edged case. Sparkling numerals on the sunray dial makes it a truly dazzling timepiece. Reliable Japanese quartz movement and a ceramic linked bracelet will not let you down. Nicer than I was hearing. Returned this because it wasn't what I was looking for.